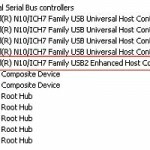 There are actually two types of audio drivers that you can use in computer audio recording. These are the ASIO (Audio Stream Input/Output) and the WDM (Windows Driver Model) audio drivers. These two operates very differently and their behavior has strong impact on the quality of your recording. In this post, you will exactly learn how these driver model works and their effect on digital recording. Beginners in home recording often do not know the technical distinction between these two drivers. As a result, they tend to treat these two as interchangeable, the same or compatible which in reality is not and the results are completely different. 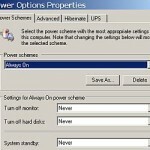 Windows OS starting from Windows 98 implemented the WDM driver model for audio. In fact, there are lot of home based engineers during that time that were exactly depending on WDM drivers for their projects. In this driver, an audio device (such as a soundcard) will have drivers that become part and binded with the Windows kernel. Thus you have observed that that the communication between your recording software (DAW) and audio device will pass through Windows. In a recording session, analog audio is converted to digital audio by your soundcard by a process known as pulse code modulation. If the soundcard is using WDM driver, digital audio streams will undergo sample rate conversion or bit depth conversion by WDM . Conversion will happen if there is a mismatch in bit depth and sample rate somewhere along the signal chain. The sample rate conversion and bit depth version in WDM may not produce expected results by audio engineers in terms of quality. Poor quality design sample rate converters in sound cards or in your audio system can produce aliasing which is a form of audio artifacts or distortion. On the other hand, programmers of audio device drivers will simply design its drivers based on WDM compatibility with ease and minor edition, because a lot of the work/code are already provided by Microsoft. This feature is the reason why WDM is very popular and supported by most consumer based soundcards before and even until now. 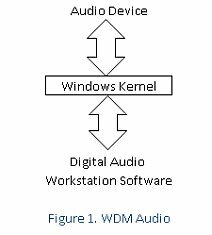 Also WDM drivers are depending on the Kernel mixer (Kmixer or Windows mixer) for controlling volume levels, etc. 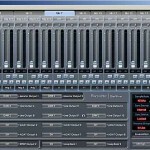 Although the soundcard may have its own mixer, Kmixer will still influence or even override the soundcard settings since the soundcard is binded with the operating system.